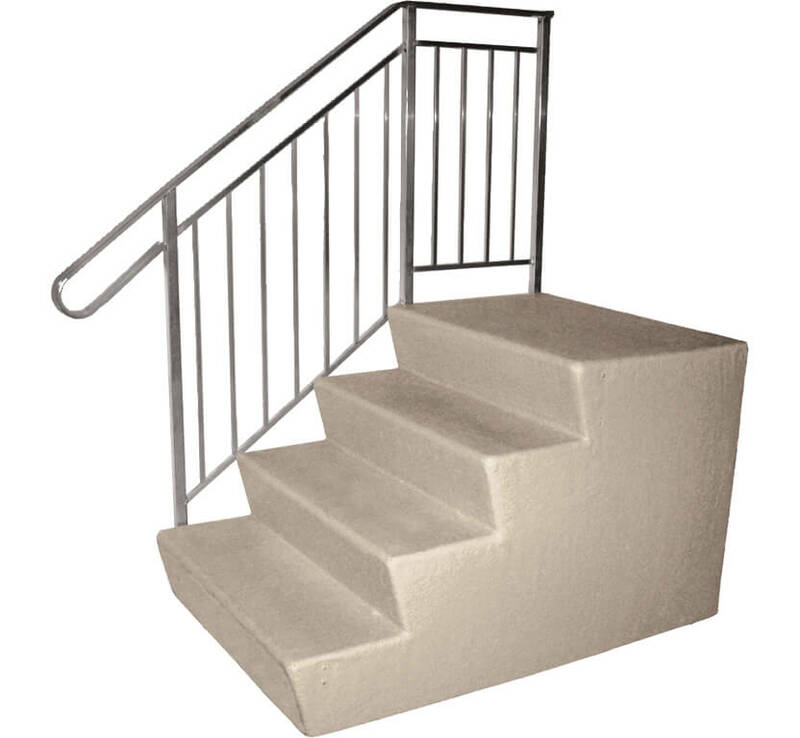 Fiberglass Steps | 48" x 38"
Shown with Deluxe Side Rail which meets B.O.C.A. Code. 28" x 38" x 48"
32" x 38" x 48"
35" x 38" x 48"
24" x 38" x 48"